Edited by Ivo Meinhold-Heerlein . Many pioneers with different specialties have contributed to the development of operative laparoscopy: It was the urologist Max Nitze (1848-1906) who invented cystoscopy as the very first step of endoscopic surgery. The gastroenterologist and surgeon Georg Kelling (1866-1945) constructed an air insufflation apparatus and performed the first laparoscopy on a dog. The gynaecologist Hans Frangenheim built the first abdominal insufflator and the gynaecologist Kurt Semm (1923-2003) – known as the father of operative gynaecologic endoscopy – performed the first laparoscopic appendectomy. 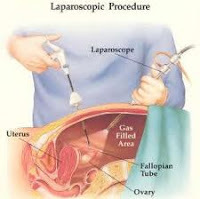 Today, laparoscopy is widely used by urologists, surgeons, and gynaecologists. Technical advances of recent years have now enabled us to perform most of the open procedures laparoscopically. The today’s spectrum includes benign and cancer surgery in all three disciplines of urology, surgery, and gynaecology, and has led to decreased surgery-conditioned morbidity since laparoscopic surgery – when compared to open surgery – reduces blood loss, postoperative pain, hospital stay and duration of recovery, respectively. It is, therefore, self-evident that a universal textbook of laparoscopy has to cover important procedures of all three disciplines. Experts of each field have written informative chapters which give practical information about certain procedures, indication of surgery, complications and postoperative outcome. Wherever necessary, the appropriate chapter is illustrated by drawings or photographs. May this open access book reach many endoscopic surgeons around the globe to enable them to improve their laparoscopic skills, to broaden their spectrum, or just to inspire them about this beneficial technique.